/ Modified may 28, 2015 10:04 p.m. The rock band Interpol was formed in 1997, and its electric stage presence helped make it one of the most popular bands on the New York club scene. 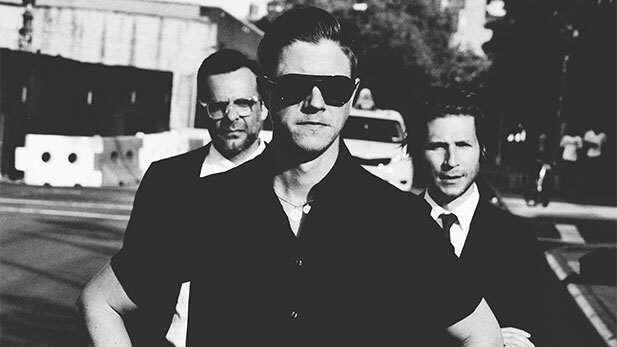 Each of Interpol's five studio albums has garnered critical and commercial success. The most recent - El Pintor - came out last fall, and signaled the end of a self-imposed two-year hiatus. Interpol's three core members spent the time with their families, and worked on other projects. Interpol performs at The Rialto Theatre in Tucson on Wednesday, April 8th, and at The Marquee Theatre in Tempe on Sunday April 12th, 2015.